Ilosaarirock weekend is now over. As organisers of the festival, we thank you all for your contribution! 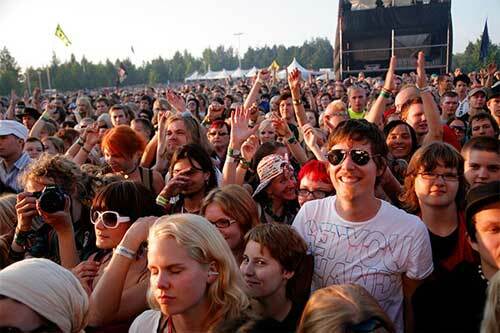 Fantastic atmosphere and audience, great bands and friendly volunteers – this is what Ilosaarirock 2008 was made of. We look forward to meeting you in summer 2009. Festival life section contains all sorts of stories and photos of the Ilosaarirock weekend. We also welcome all feedback and comments of whatever nature on our forum. All found articles which can be classed as valuables have been taken to the Joensuu police station, where you can ring and ask, tel. +358 13 245 5249. 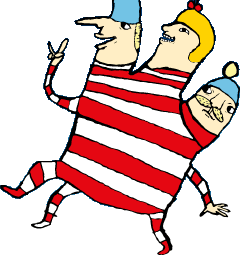 Other found articles have been taken to the office of Joensuun Popmuusikot. We will be back in July 2009. Until then you can visit our website and read articles, look at photos, and join in the Rokumentti films festival later in the fall. The European festival association Yourope has awarded the international Green'n'Clean award to Ilosaarirock festival. The objective of the Green'n'Clean award is to make both festival organisers and festival goers pay more attention to environmental friendliness and to talk more openly about environmental issues. Ilosaarirock festival has worked for years to minimise its environmental impact. Over the years the festival has paid attention to using green energy, reducing the amount of waste, and promoting public transport, for example. Festivals have a big impact on the environment. When large crowds gather, besides all the fun they also bring with them things that affect the environment: traffic, noise, effluents, waste, and emissions. We believe that by aiming at the smallest possible environmental impact we can offer the festival audience an improved festival experience. The purpose of the Green'n'Clean award is to promote environmentally friendly festivals. The aim of Green'n'Clean is also to guarantee that in the future festivals are continuously developed from the point of view of sustainable development, and that this viewpoint is applied when organising festivals, regarding transportation, waste management, energy use, catering, and purchasing policy. Protecting our natural resources and keeping up an open conversation about green values with the festival audience, collaborators, and festival organisers is the key to a greener future.